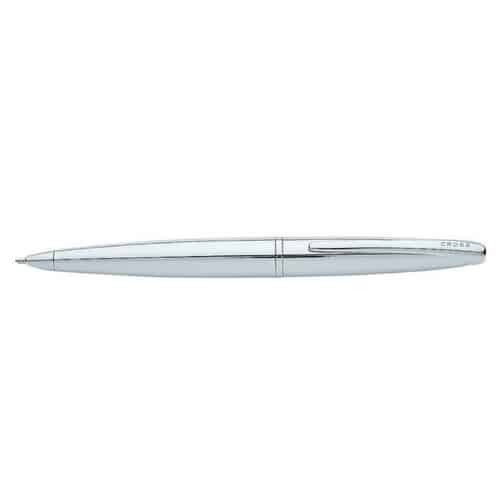 Senator Image Chrome Ballpoint Pen. 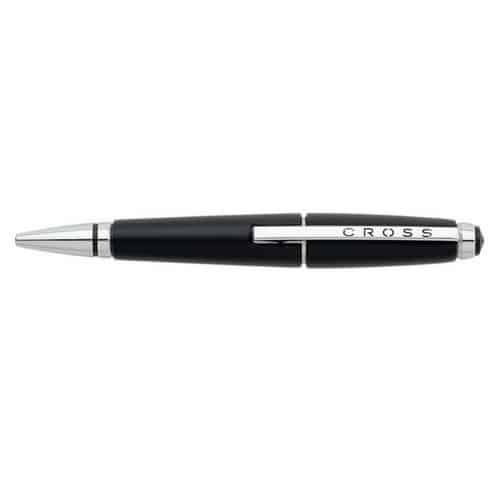 Also available as a rollerball, twist ballpoint and fountain pen. It can also be supplied as a set in an impressive presentation box. Colours: white, black, blue or silver. 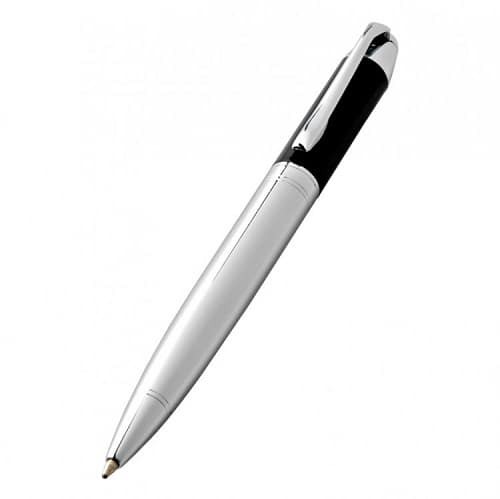 The finish can be chromed or varnished. 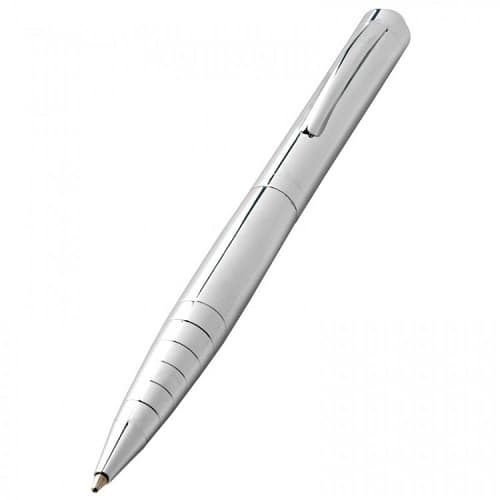 This variation: twist ball pen. Barrel: Metal, soft varnish. Fittings: Metal, matt chrome. 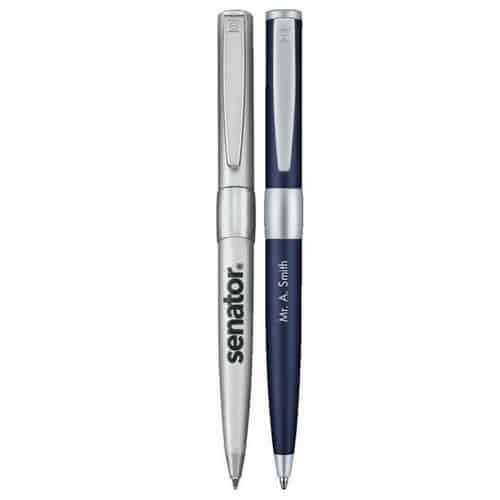 Senator® metal refill, G2. Ink colour: Blue.